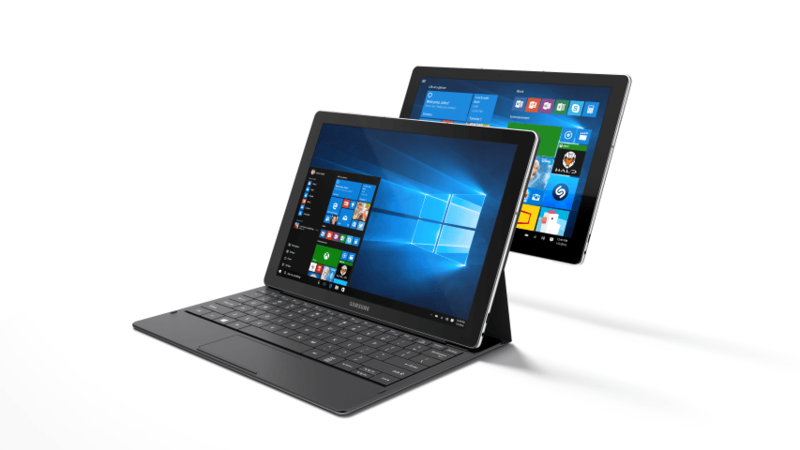 It has been eight months since Samsung unveiled its Windows 10 based hybrid tablet Galaxy TabPro S with a detachable keyboard. Despite being the company’s first Windows 10 based tablet, it received some remarkable reviews from experts globally. Since then, no other information was released by the company, but our sources may have made some new revelations. Looking back to Samsung tablet’s success stories, the name Android seems to remain constant until the bold move made by the company that eventually paid off. The Windows 10 Galaxy TabPro S to this day is considered a tough competitor to the ultra-popular Microsoft Surface Pro series. Samsung is also planning to release four variants of their latest Tab with codenames SM-W728, SM-W727, SM-W723 and SM-W720. It is still unclear how these models are going to vary in configurations but it is safe to presume that all of them will be bundled with LTE support. Samsung’s debut Windows 10 tablet included some additional features and specs than its predecessors, which include the integration with Galaxy smartphones. This might have raised the bar a little higher for its upcoming release and users might expect more than just upgraded features. Moreover, Microsoft is all set to unveil its new generation of Surface devices which further builds up the pressure on Samsung to release a standout device to the market. We haven’t come across any specific dates or timeframes for the release, but it is expected to happen in the coming months. We suggest techies who are interested in Samsung’s second-gen Surface Pro competitor to stick around because chances are the tablet might make its way through unofficial online channels before the official debut.